Having hot chocolate after playing outside in the snow is a tradition in our house. Even if my kids don’t feel like going outside to play in cold weather, knowing they get some cocoa when they come back inside is a great motivator. Do you do the same? Now imagine serving up an extra special version of this hot drink. 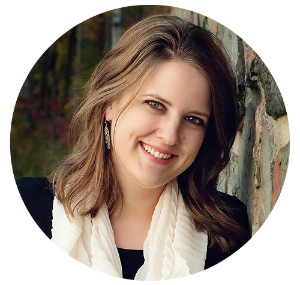 It is loaded with pretty colors and downright magical. Doesn’t that sound like even more fun? 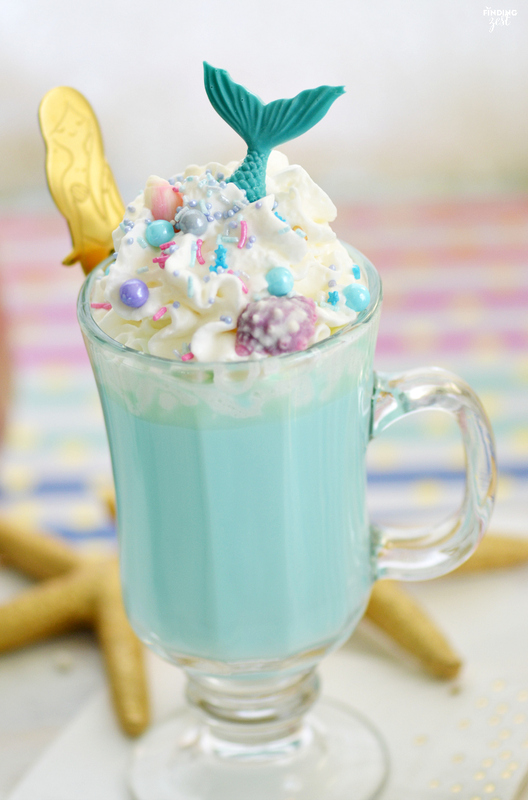 This Blue Mermaid Hot Chocolate is hard to resist and is sure to be a hit with all ages! 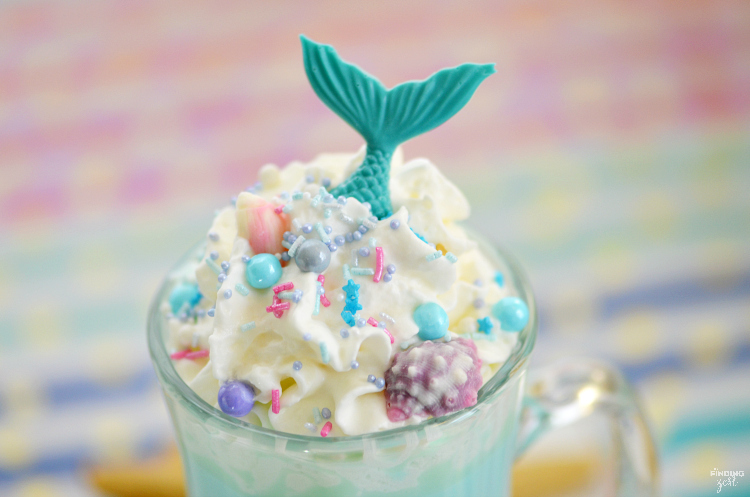 When looking at this magical mermaid drink, do you first notice the sprinkles, chocolate tail or adorable mermaid spoon? 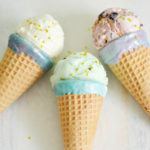 You can use your favorite mix of sprinkles for the top or create your own. 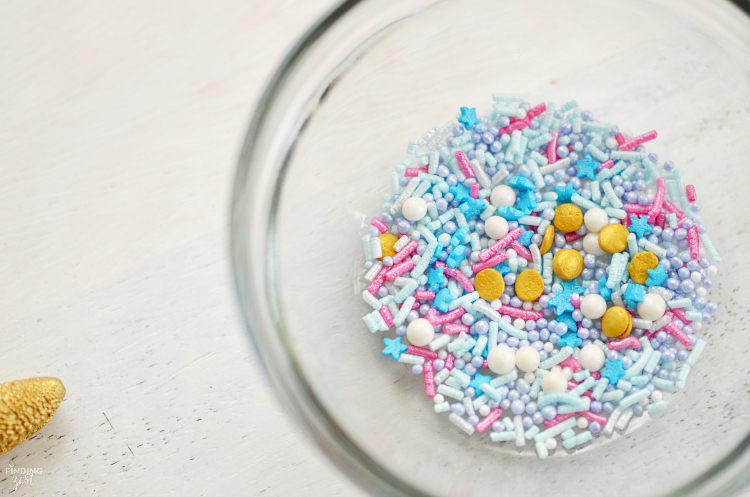 I put together some of my favorite shimmering sprinkles, gold confetti, non pareils and then later added some Sixlets in coordinating colors that I picked up from Walmart. 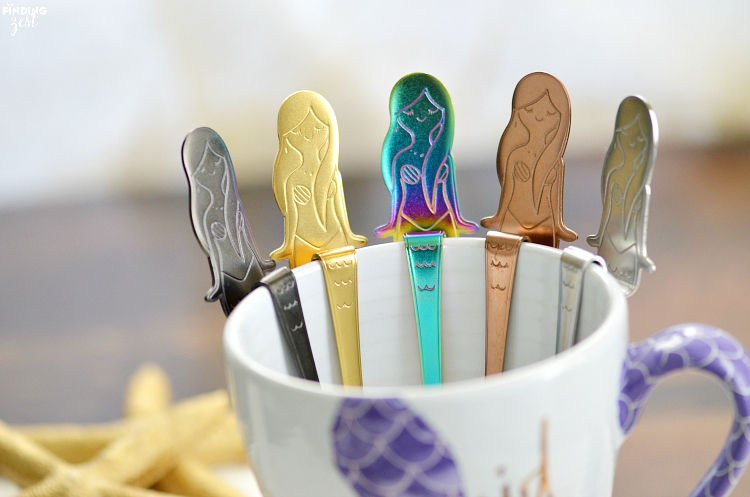 I definitely fell in love when I spotted these mermaid spoons last month! 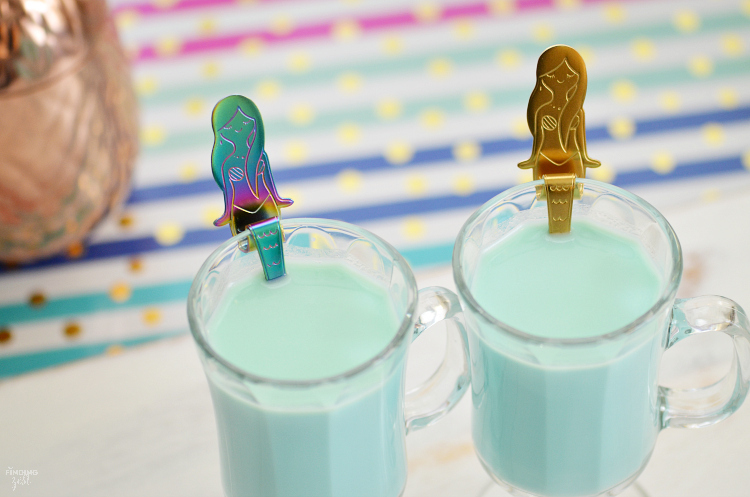 While these spoons are not a must to enjoy this recipe, they are certainly extra fun. I bought them off Amazon. 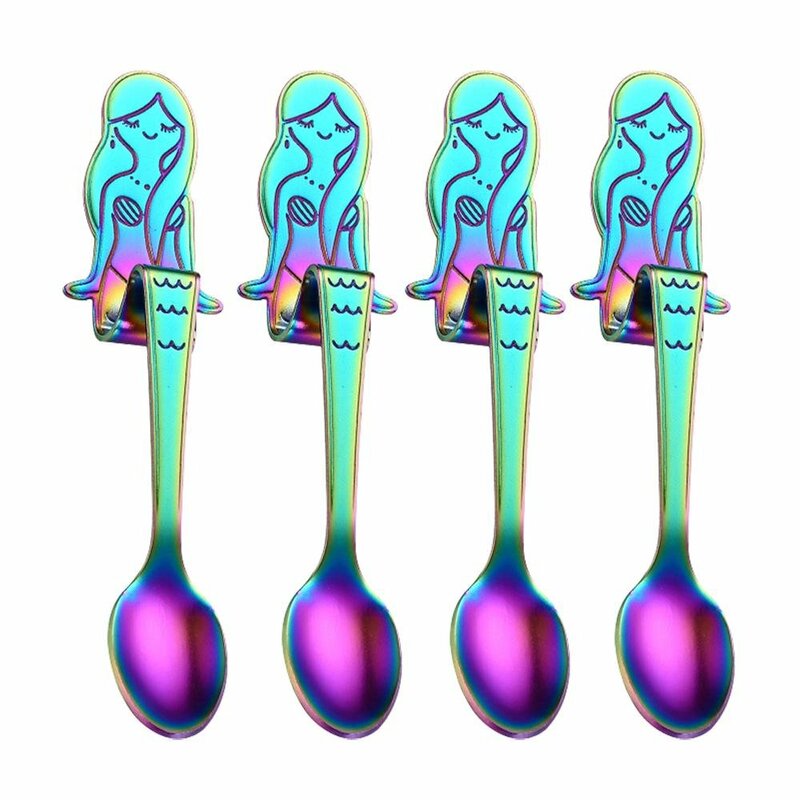 I picked an assorted package of mermaid spoons which includes five different colors. 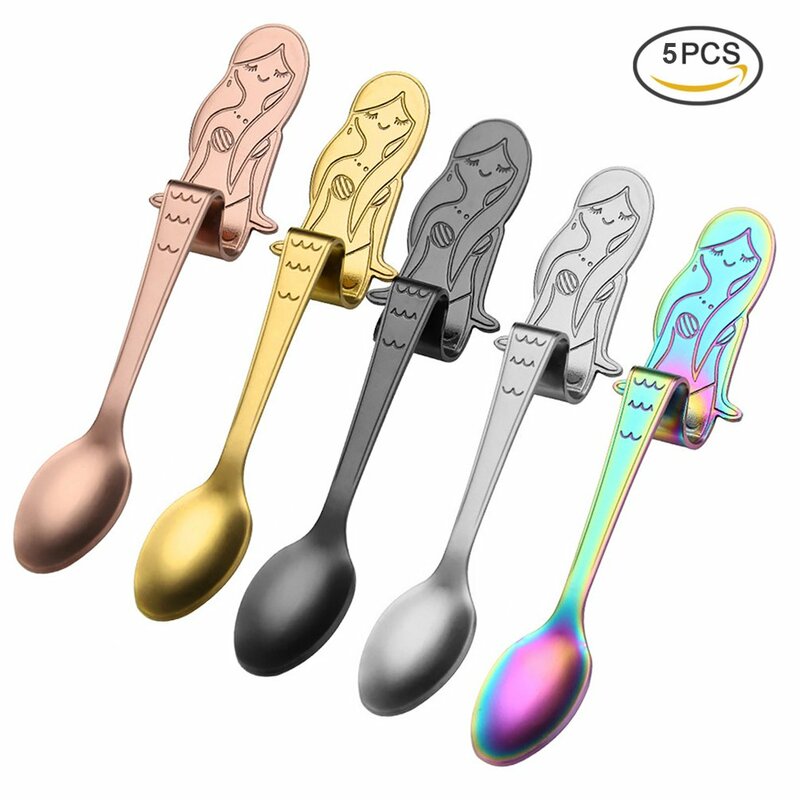 But if you want a package of a specific color those are available too. 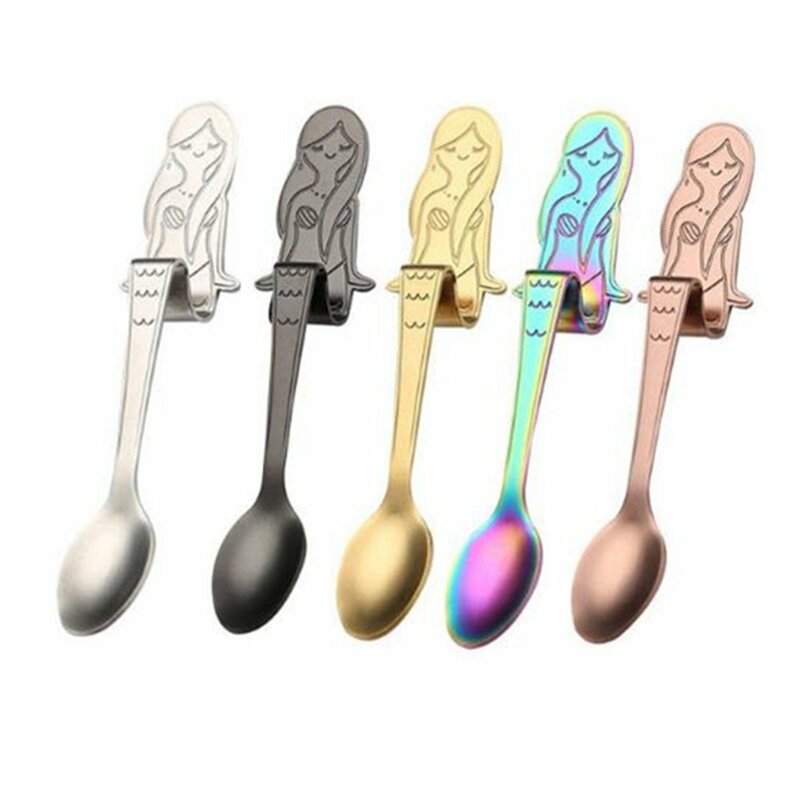 Just be sure to order well in advance or choose one with prime shipping so you get your spoons in a couple of days. I chose free shipping and it took three weeks to get them. 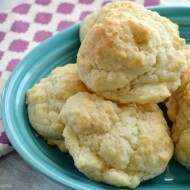 The size is perfect for stirring hot chocolate or taking a spoonful of whipped cream off the top. If you are hosting a mermaid party, they would be great for serving guests or to use as mermaid party favors. 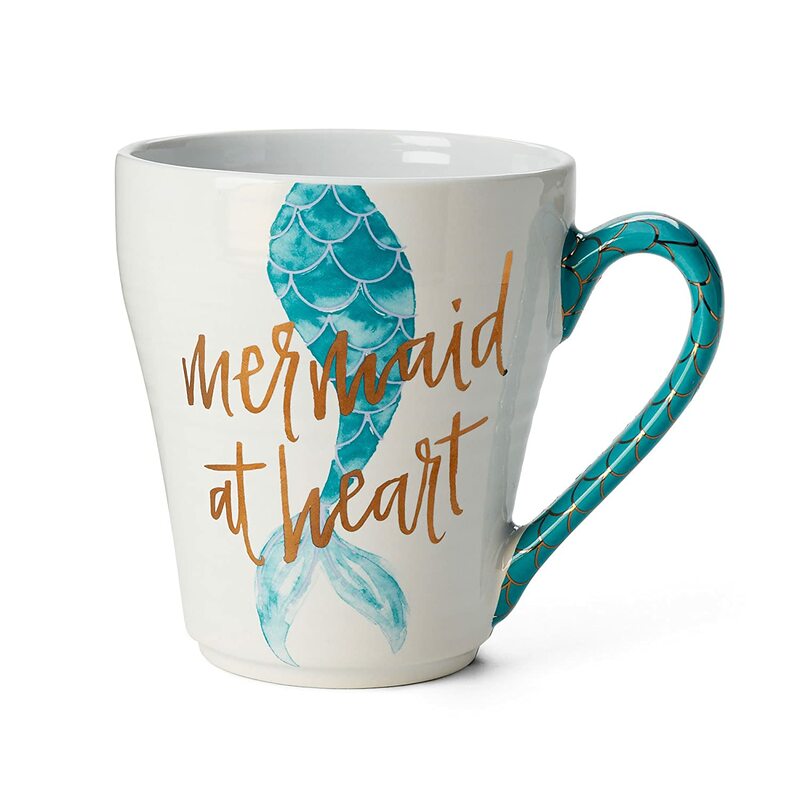 I also happen to have this cool mermaid at heart mug. It is great quality but I do recommend hand washing it, even though it states it is dishwasher safe. After a half dozen washes or so on the top rack, some of the gold lettering started to fade. 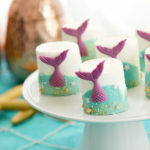 I’ve done a few posts already on how to make mermaid tails out of chocolate. 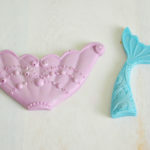 I used the smaller mermaid silicone mold shown in this mermaid mold post to make the mermaid tail garnishes for this hot chocolate. 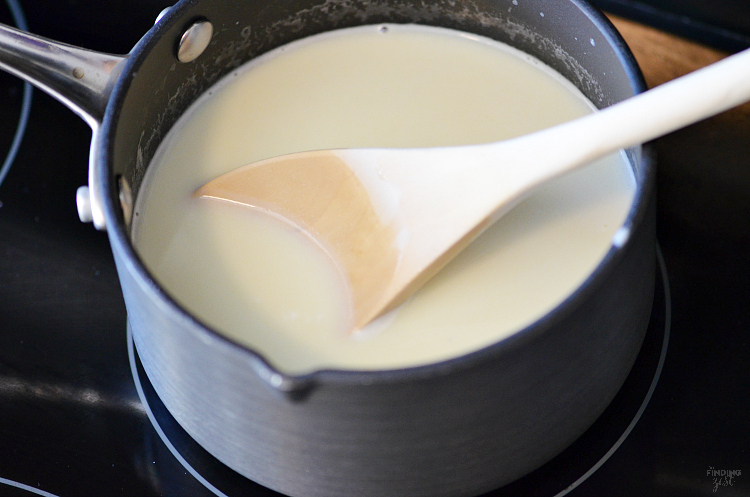 Making homemade white hot chocolate is actually very easy. To make it taste extra creamy and delicious I like to use high quality chocolate and include half and half instead of only milk. 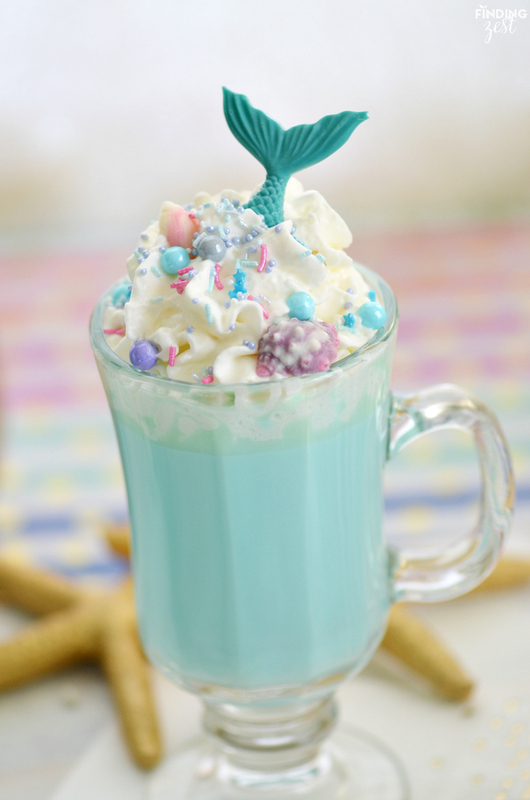 To make blue hot chocolate you’ll want to include a single drop of blue dye. No more than that is needed! I love this Wilton Color Right set to get just the right amount every time. When chocolate is melted and mixture is hot, remove from heat. 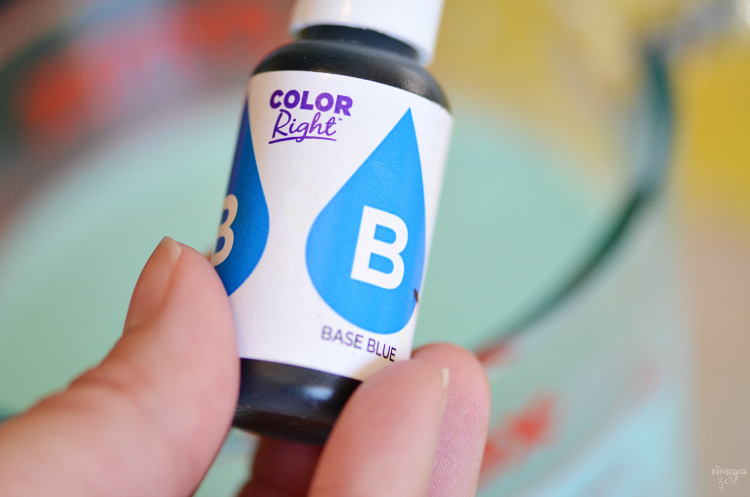 Add in one drop of blue dye and stir. 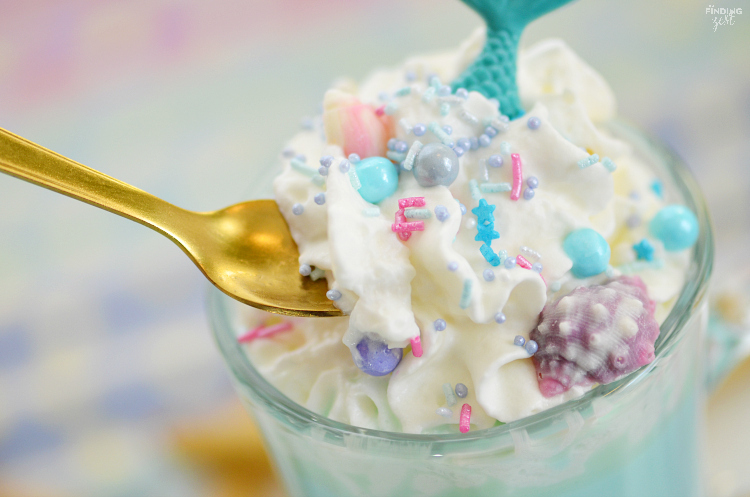 Pour into mugs and top with whipped cream and sprinkles. Small chocolate shells also look cute on top. 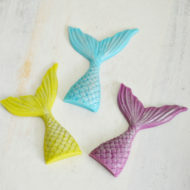 I made them with small shell silicone molds and swirled candy melts. 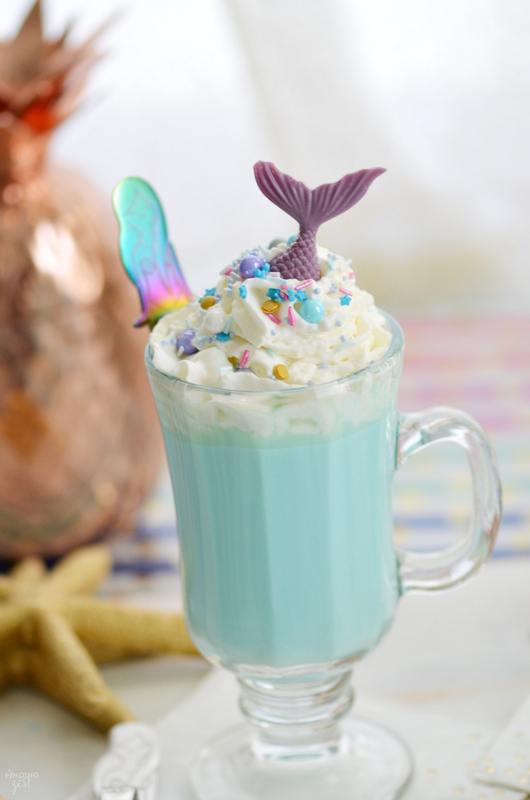 Whether you serve it to make an ordinary day special or to celebrate an occasion, this blue mermaid hot chocolate is delicious any time and fun for all ages. 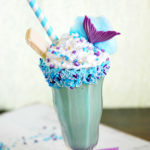 I hope you enjoy this magical mermaid drink. 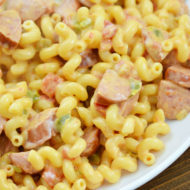 Let me know what you think of this recipe if you give it a try. 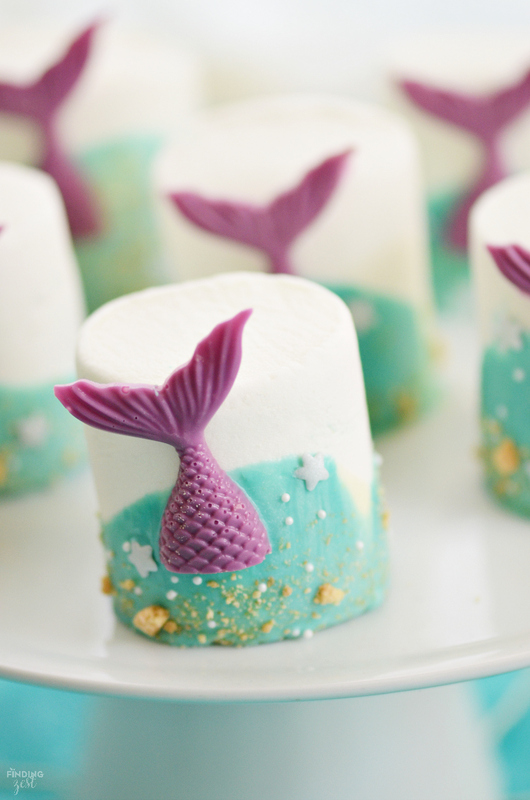 Be sure to check out my mermaid party section for more fun ideas! 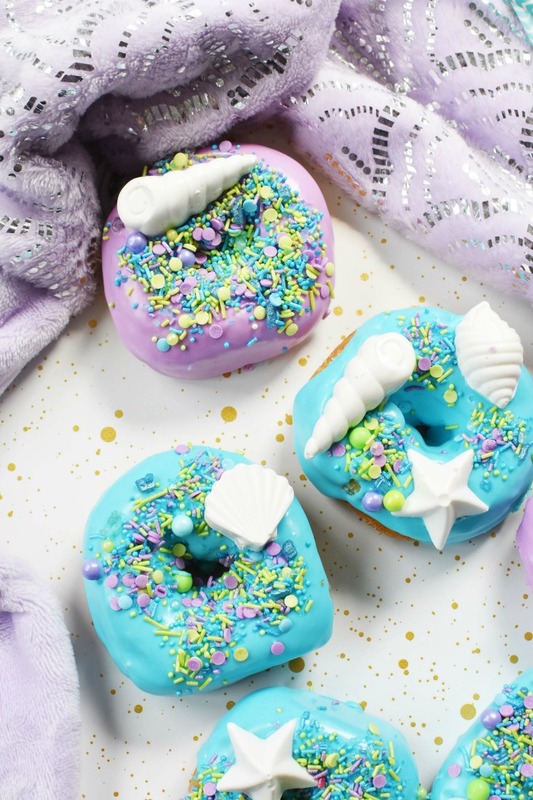 Also check out these adorable Mermaid Donuts from Savvy Saving Couple. 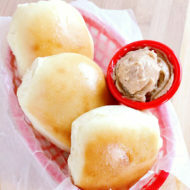 Amy shares how to transform store bought donuts in a snap with just a few ingredients. Aren’t they amazing? Oh my gosh!! 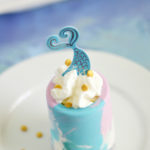 My daughter absolutely loves Mermaids and we loved this recipe. So fun and so cute!! 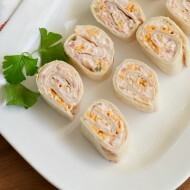 Not only delicious, but super cute! 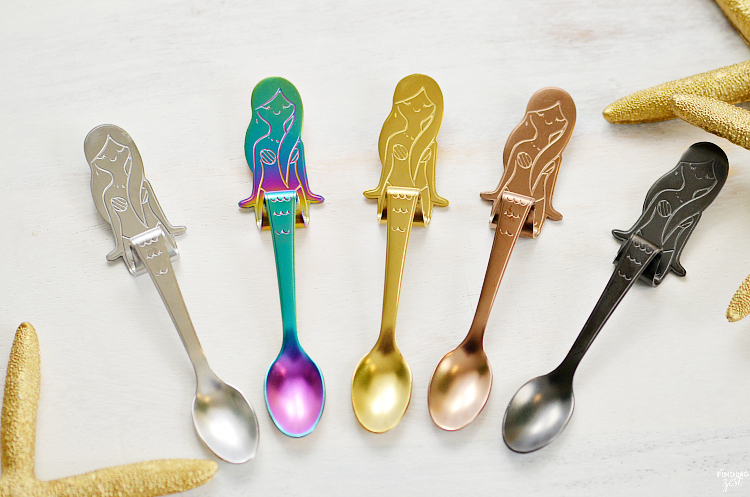 I need those spoons and think it’s such a great idea to give them as a party favor. 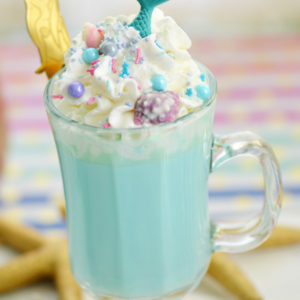 This is the cutest drink ever! My daughter was just asking about a mermaid party.